After release in 1833 and thriving very nicely for 181 years, foxes are winning the battle against humans. Tasked with protecting the districts native fauna, domestic pets and farmers stock from these guys. 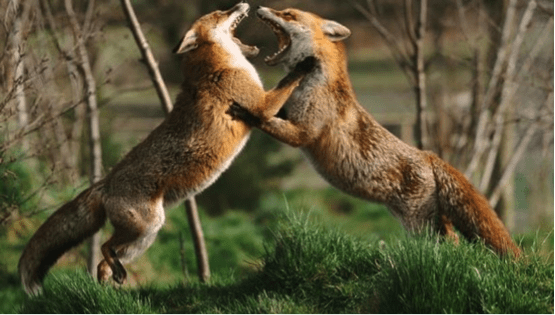 We find red foxes to be an awfully good combatant. Even with their position near the top of the local food chain, these animals have very few enemies apart from man, but are still very shy. This shyness of not wanting to be seen is helping them no-end in the battle against humans efforts at control. Generally their invisibility has the effect of stopping control measures in their tracks. I for one get to see this in action-repeatedly. From weekend farmers to urbanites who are rarely out of an evening, few if any foxes are seen. And with this lack of paw-sight I hear- “no foxes here on my place” or “never seen a fox here ever”. Well I can tell you now- foxes are abundant around the Geelong and Bellarine regions. No one has ever done a formal survey in this geographic area for fox population density but several land care groups, government departments and local councils put resource into the problem. Mr Invisible outside your place, last night. So the fox problem is in hand right, effort is being made by some, all should be under control? Well no – far from it ! Why? Part of the issue is the “I have no foxes” attitude, and that attitude is everywhere. The fox’s strategy of being invisible is working very well here. The other part of the issue is politics and bureaucracy, believe it or not a curtain of regulations covers what we can do to control foxes. Six pages of federal regulation covers the use of fox bait in Victoria. Then four more pages of regulation are added by the state government, then a couple more from local councils. Result ? Foxes are afforded protection from our best control tool [Fox baits] in many locations under these constraints. Impending doom for poor old Penny and her mates. Ok next tool – trapping- yea right ! 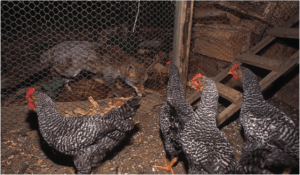 To trap a fox in say an urban backyard, where five out of six chickens have been taken in the last week. And poor old Barbara is now a nervous wreck, sitting on her perch too scared to look outside. Well we [me the professional] need to sit down and write to the state government environment minister and ask his permission to trap in your backyard! I then need to write an application to the Victorian Police and attach to it a whole lot of explanation as to why I need to shoot a trapped fox in your back yard. Why do I need to shoot Mr Fox? 2. Please dispatch any trapped foxes humanely by using a .22 rifle. I think when they came up with this little gem they forgot to consider the implications, mentioned above. That’s it, no more effective control measures are available. 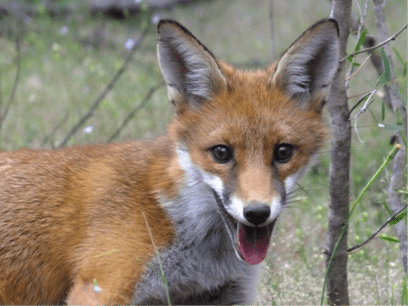 The result is that foxes in the urban areas [the highest populations now are in the suburbs] are pretty much protected by our state government. 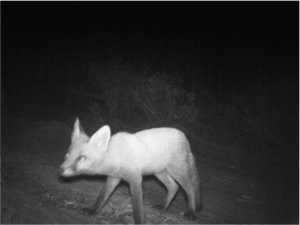 And foxes in the peri urban areas and beyond are basically invisible. Unless you are a sheep farmer, or someone who is trying to find small Australian native animals in the wild. Luckily we here at Acacia Pest Control are made of sterner stuff and are prepared to spend the hours required writing applications to various government departments. Well truth be known over the years we have templated the process and know how and who to send them to. We can and do have success in removing foxes- despite all the protection they get from the various government departments. So if you have an issue or just want to do the good neighbour thing and protect the environment.